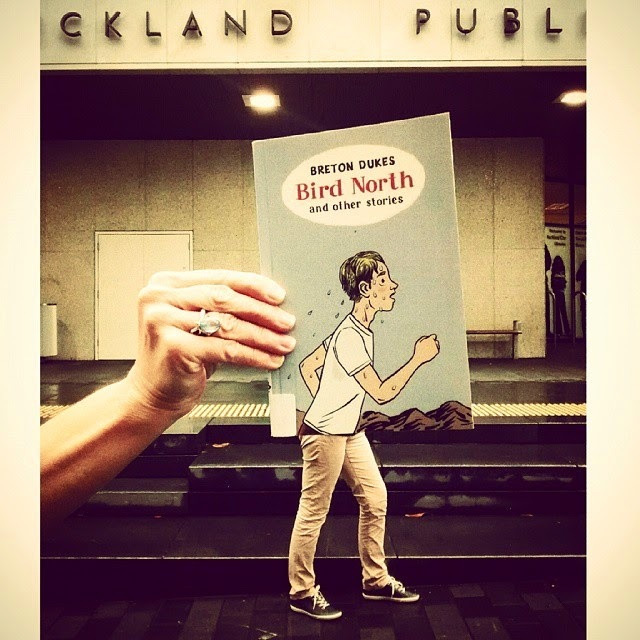 At the beginning of February Auckland Libraries resurrected our Instagram account. It gives us in the Heritage and Research teams a great channel to show off heritage collections and exhibitions that are happening around Auckland Libraries. Some of our contributions from the heritage collections have been photographs, illuminated manuscripts, vintage advertising from the ephemera collection, maps and even some images of incunabula and rare books. 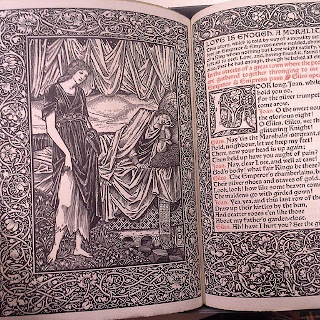 The most recent post featuring our heritage collections showed the second to last book to bear the Kelmscott Press imprint: Love is enough: or, The freeing of Pharamond by William Morris. 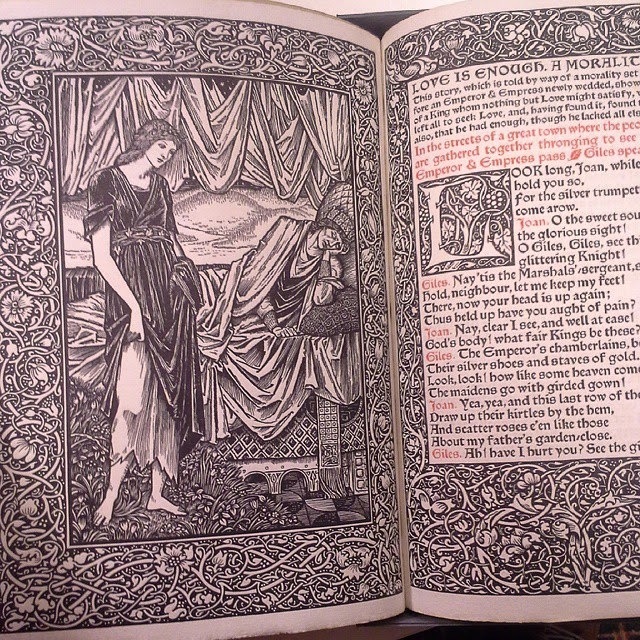 The illustration below was designed by Edward Burne-Jones and engraved on wood by WH Hooper; the borders are by Morris. Ref: William Morris, Love is enough, 1897, Sir George Grey Special Collections, Auckland Libraries, PR:KELM 1897. A real treat are the images contributed by the preservation department which give a behind the scenes look at library preservation. 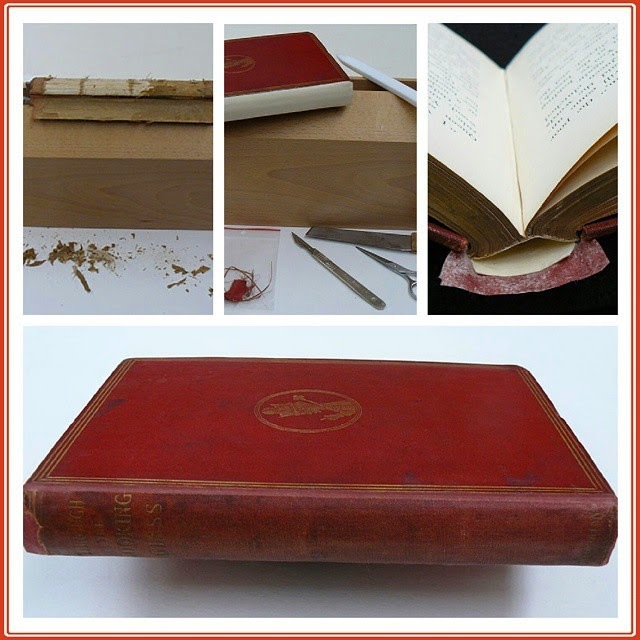 Below is a post showing book conservation treatment for a first edition of Through the looking glass by Lewis Carroll that is in the special printed collection. Ref: Auckland_Libs IG Team, Book conservation treatment for Through the looking glass, 16 March 2015. 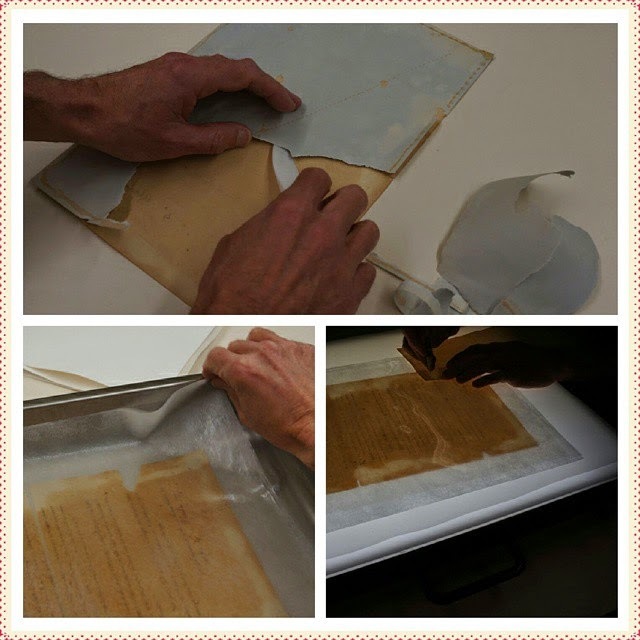 The image below shows backing removal, deacidification and repair of an historic document. Ref: Auckland_Libs IG Team, Historic document backing removal, deacidification and repair, 23 March 2015. Images from libraries around the region are also a feature, including this great one of an electric car charging point at Wellsford Library. 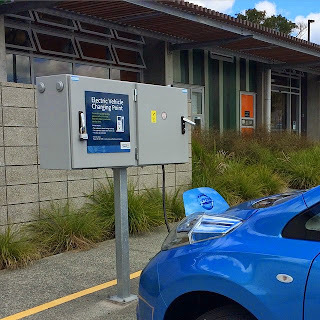 Ref: Auckland_Libs IG Team, Wellsford Library: fueling minds and electric cars, 1 April 2015. 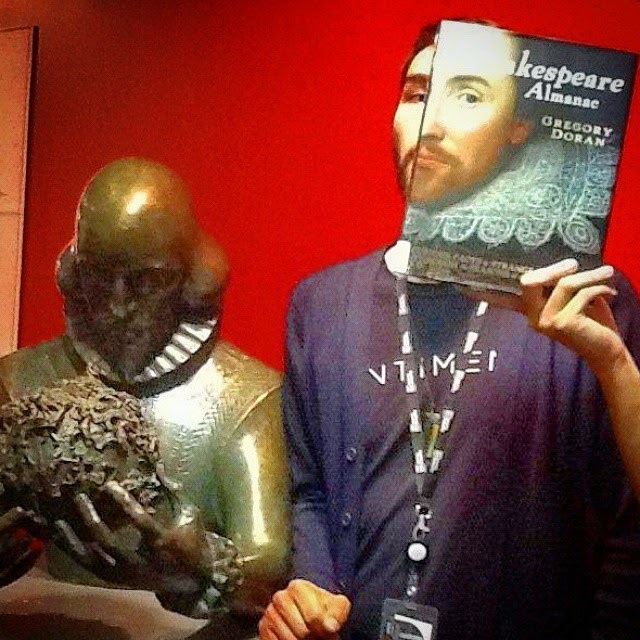 Other popular themes for images are spine poetry, ‘where in the world is your library card, and of course #BookfaceFriday which shows how wonderfully creative some of our colleagues are. Ref: Auckland_Libs IG Team, "Your face, my thane, is as a book where men may read strange matters. ", 17 April 2015. 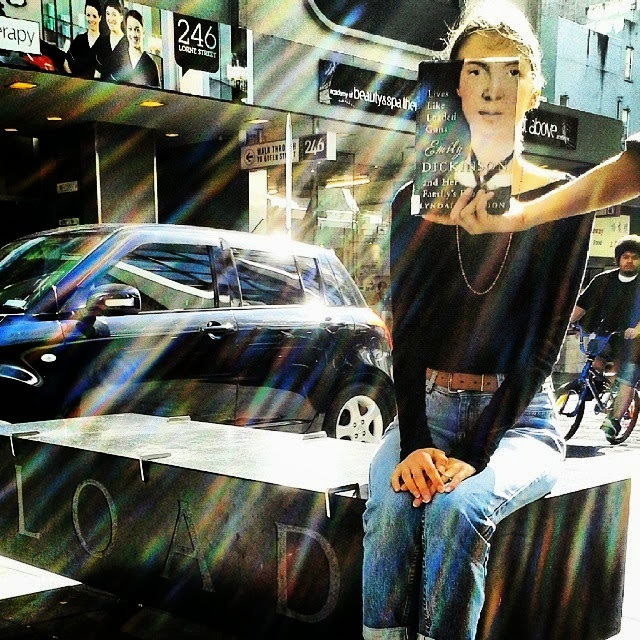 Ref: Auckland_Libs IG Team, "My life had stood - a loaded gun", 24 April 2015. Ref: Auckland_Libs IG Team, Down the mean library façade a #bookfacefriday must go, 8 May 2015. You can see the rest of our posts through your web browser here, but Instagram is really designed for phones so if you have a smart phone do install Instagram on it. If you already have an account please give us a follow @auckland_libs.